How can I view my grades and GPA? To view your final grade for a class go to the NWTC Home page, then log into my.NWTC with your student ID and password. Click on the Academics link from the left side panel. 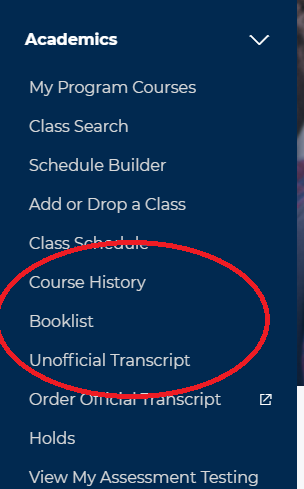 Next, click on Course History or View Unofficial Transcript. To view grades throughout the semester for a course that uses Blackboard Learn, log into Blackboard Learn using your student ID (as the username) and password. Click on the Courses link at the top of the page and choose the course you would like to view from your list. Select the My Grades button from the menu panel on the left side of the screen. Note: If you click on a graded assignment, you will see your submitted assignment and any feedback from the instructor.